Hussey Seating Company specializes in auditorium seating that comfortably supports your audience and enhances your space. From performing arts center's to school auditoriums, we'll have the perfect seat. 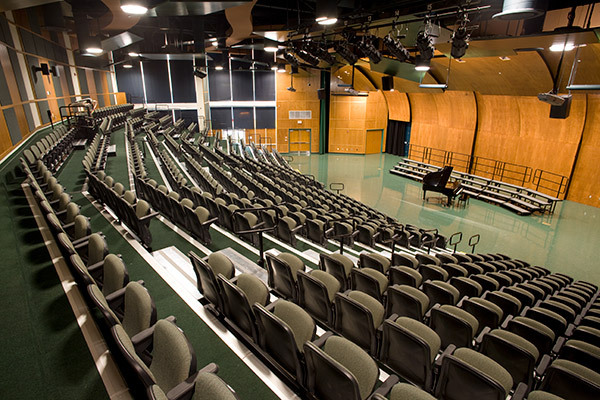 Hussey Seating Company's school auditorium and performing arts seating always makes the grade in demanding educational environments. We work with your standards, regulations, and tight budgets to ensure your investments stand up to the wear and tear of daily use.